Art Aids America audio tour stops are available online through your web browser or via the STQRY mobile app. 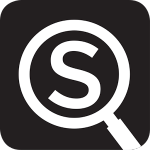 STQRY is a mobile storytelling smartphone application for visitors to explore, engage, and discover more. Find Art AIDS America audio tour stops and more! For best results, download STQRY before your visit and have immediate (and free) access to Tacoma Art Museum Audio Tours. You can also access stories and audio tours in any web browser.